Are you an author trying to promote yourself on the worldwide web? 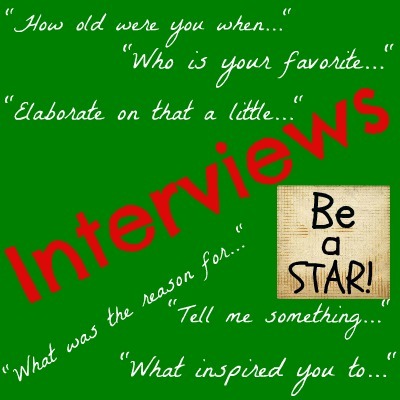 There are a few basic rules to taking part in an interview. I have found that the general masses miss these basics, and being the impatient human being that I am, this bothers me immensely. After having conducted so many interviews myself, I have noticed constant, recurring mistakes that authors make when participating in an interview. No, I will not name names. But there is a marked difference between the people who I love to read in an interview…and the people who might as well have their words on the nutrition box of a milk carton. Here are a few ways to make your interview pop. First, answer questions as concisely as possible. I don’t mean that you should go around answering every inquiry on planet earth with a singular ‘yes’ or ‘no.’ Answering yes to a question like, ‘are you inspired by other writers?’ would be a flat answer. No, you just need to keep things short and entertaining. People want to read an interview that is fun to read, not similar to a college essay. Because let’s face it. Who wants to read a college essay, let alone write one? Answers shouldn’t be longer than one paragraph – and that doesn’t mean that you should make that paragraph unbelievably elongated. Cut to the chase. Don’t bore your readers. You may love to talk about yourself, but there is nothing in it for the readers if they are not being entertained. Period. You are not a celebrity. What you do with your hair in the morning isn’t interesting unless you’re Ellen DeGeneres. Focus on what matters. Second, do the world a favor and be able to sum up your novel quickly and efficiently. My biggest pet peeve is when I literally have to read 3 to 4 paragraphs to find out what the synopsis of a book is. Come on, people. You should be able to tell me in one sentence. Furthermore, a flat and monotonous synopsis practically yells, ‘this book is as equally boring as this summary!’ You should showcase every writing skill you have in your synopsis. Fourth, remember that an interview may be all about you, but the last thing people want to hear is your life story from birth to high school graduation to your second divorce to your recent trip to the dentist’s office. You must make it entertaining, or I can and will guarantee you that you will lose the reader’s attention. Big no-no. Lastly, I may sound like a drill sergeant, but all I’m really trying to do is steer you in the right direction. I’ve conducted a lot of author interviews. I’ve read thousands more. I can tell you exactly which interviews held my attention and which ones fell by the wayside and into the obscurity of the dustbin of history. It’s not about you: it’s about your writing. Be a professional. I don’t care where you go or what you do, conduct yourself as a professional and positive things will come from it. You can find more advice like this in the book I wrote, Snappy Social Networking, right here.